Brrrrrrrr. It’s turning properly cold this week rather than cool. It was a whiteout this morning and it took me two attempts to get through the snow to work. The rest of the week is looking grim with temperatures set to fall below minus 6. Now this of course is nothing compared to St Petersburg, where it is currently minus 12. 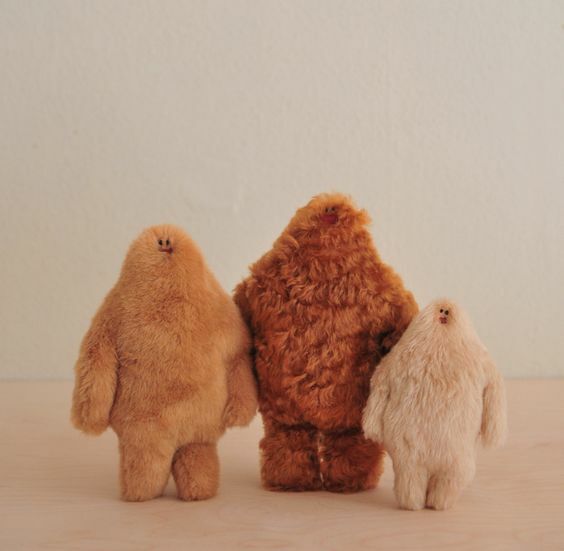 She creates felted toys, each one is unique and filled with character and life. Just one look at these little creatures brings a lump so big into my throat I can hardly swallow. Now I’m afraid I know next to nothing about Katerina. I don’t even know if her lovely creations are for sale. 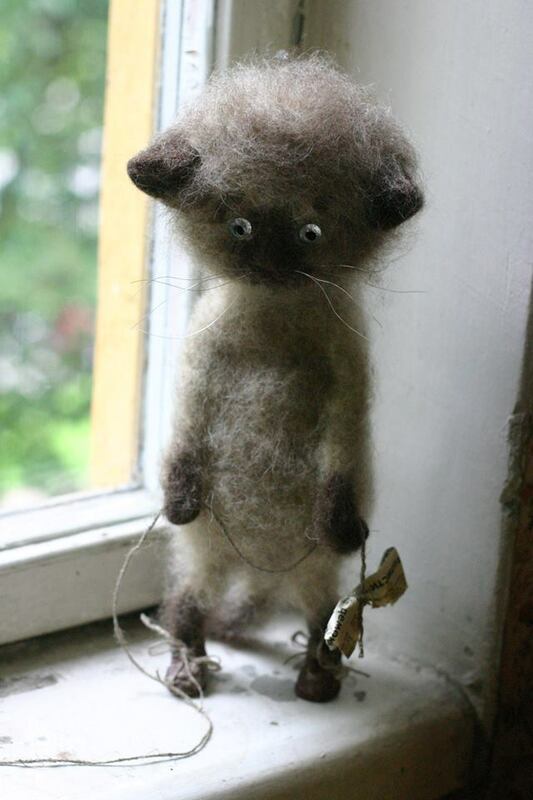 All I can say, is that in her facebook photographs she looks a very cheerful person to produce such poignant little creatures. Far cheerier are these Yeti’s created by Emma from MarcandEmma. While Katerina’s creatures make me want to quietly weep, these make me want to chuckle. These little yeti’s seem to be snapped up as soon as they appear on Petit Hercule. An utterly wonderful Belgian site for small people. I’m looking pretty yeti like myself as I sit typing this with a hat, snood, scarf and parka on.